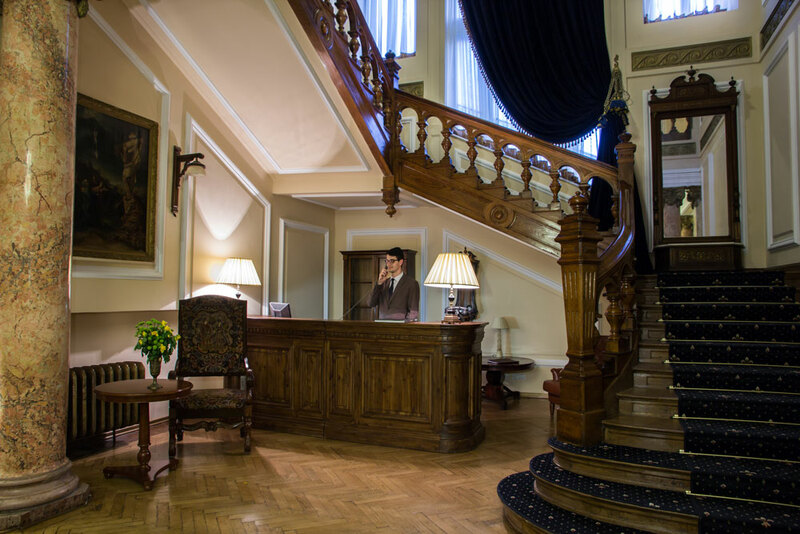 Grand Boutique Hotel is housed in the former private residency of named family of Romanian bankers from the early nineteen hundreds. Owners influence and building character and privileged location attracted the visit of many of Romania rich and powerful, including royal family members as well as ambassadors and foreign personalities of that time. 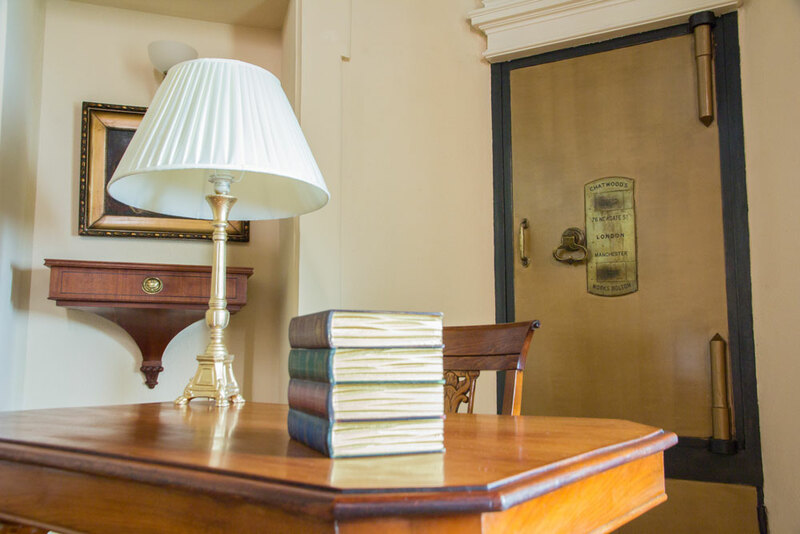 We tried to preserve these memories of the building by naming each of the 19 guest rooms after one of those famous personalities. The ballroom’s Venetian mirrors, marbles columns, sculpted stairs, the original bank safe carefully integrated in the recent complete renovation work, create such an authentic atmosphere that you almost expect seeing the personages that used to gather for the fabulous receptions. 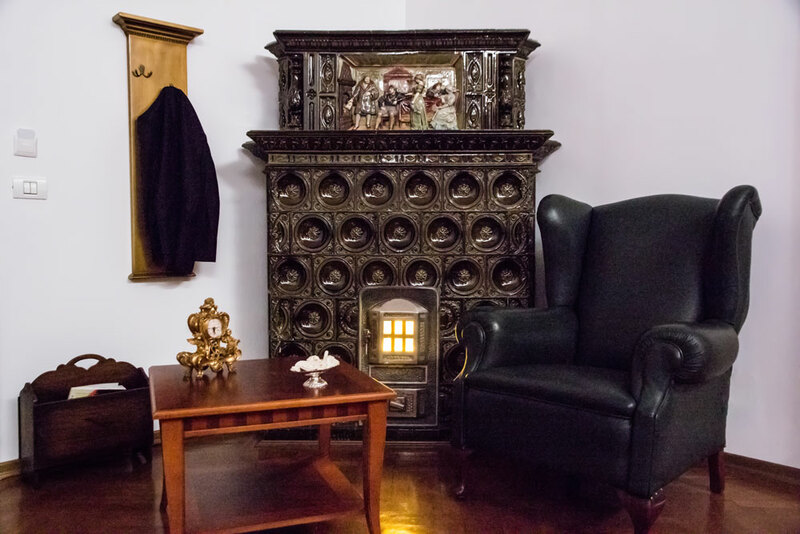 The carefully carved wooden stair, the safe and the stove are not just art works or refined decorative objects, they are characters in the local charming story and you’ll discover them as you step through our doors. 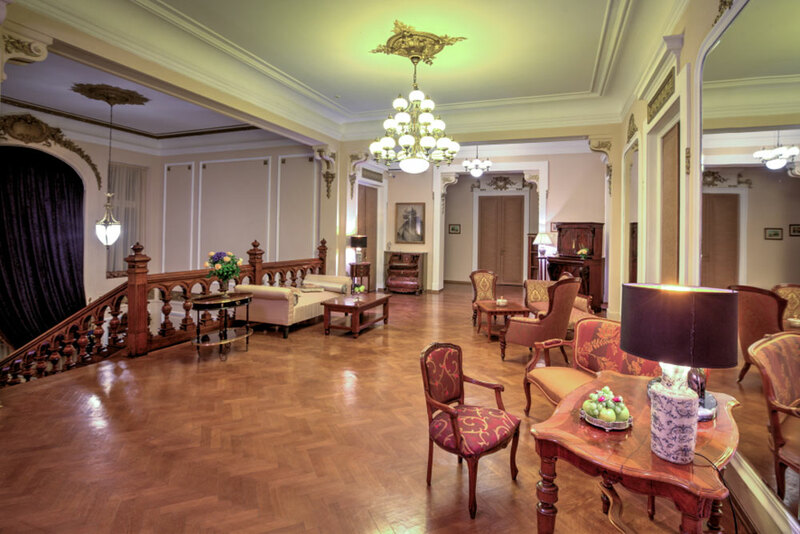 The building of our hotel appears in 1893 as a construction of Constantin Colibăşeanu, an engineer married with Ecaterina Colibășeanu, the daughter of a Russian general, Laptev. A villa built on the standards of refinement from the end of the XIXth century, with the purpose to host the royal family of Romania, this building has stood stoically for many years, to end up in the hands of worthy heirs, the Butculescu and Chrissoveloni families. Built in a style of French academic eclecticism, on a land located on Negustori (Merchants) street, number 1B, it remains one of the most beautiful buildings in Bucharest, Constantin Colibăşeanu building it personally, as a construction engineer. 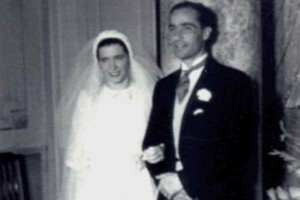 Over the years, Colibăşeanu Constantine’s daughter, Elena, married Georges Lakeman-Economu, the son of Stephen Bartlett Lakeman, a British officer known as Mazar Pasha. 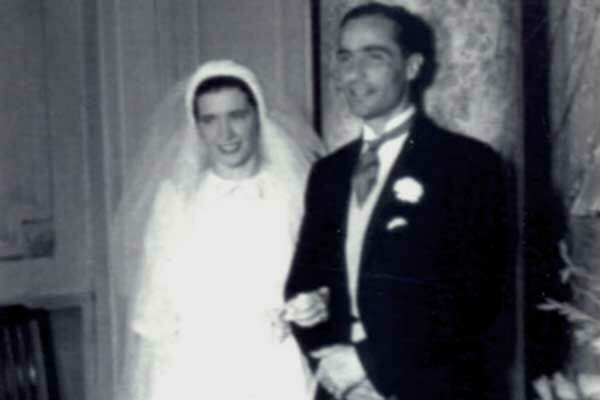 Subsequently, their daughter – Georgette Lakeman-Economu married Nicky Chrissoveloni, the heir of Chrissoveloni banking family. Their marriage was celebrated in this building, hosting thus, for a while, later on, one of the greatest bankers from Romania in the interwar period. Founded by his grandfather, Nicolas Z. Chrissoveloni, a native of the Greek island of Chios, and strengthened by his father, Nicholas (Nicky) Z., Chrissoveloni Bank one of the most powerful financial institutions in Romania until 1933, at the stock market decline on Wall Street. Today, the headquarters of the bank situated on Lipscani street, built by the famous architect G. M. Cantacuzino, is the headquarters of the National Bank of Romania, being recognized as an architectural gem. 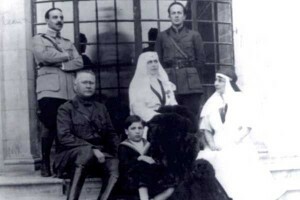 Chrissoveloni’s family history is linked to the Royal House of Romania, Jean Chrissoveloni, Ion Nicolae’s grandfather, being the founder of the “Queen Mary” military transport regiment. Jean Chrissoveloni died in 1926, at 46. 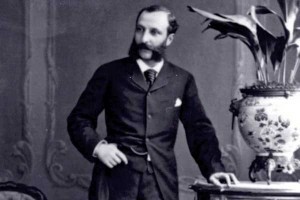 His son, Nicky, retuned to Romania from Oxford in 1931, at the age of 22 and joined the board of directors. In 1936 he became the chairman of the board. Nicky Chrissoveloni paid the bank’s customers withdrawal requests from his own wealth and covered about 95 percents of customer complaints. In 1934, a year after the economic crisis, although weakened substantially, the bank has been declared viable by the National Bank of Romania. Under Nicky Chrissoveloni’s management, the bank regained its reputation and its leading position in the Romanian banking system. On June 3, 1948 the reported profit for the previous year reached two billion lei. Eight days later, the communists nationalized the bank and Nicky Chrissoveloni was arrested shortly after. 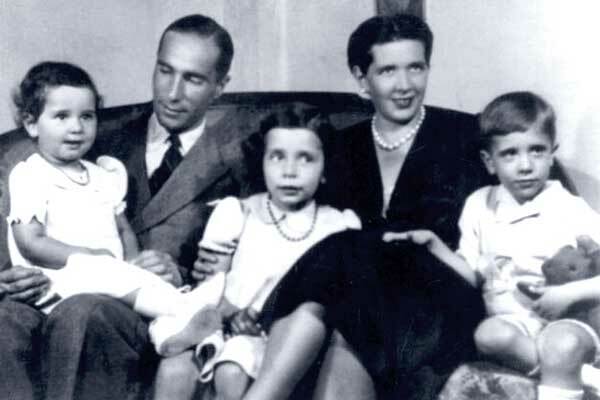 In 1960 he and his family emigrated to Greece, while their heirs returned to Romania after the 1989 events.